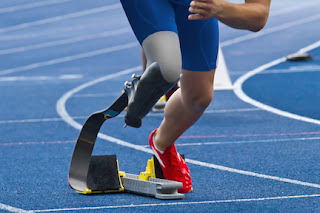 There are 5 adaptive/rehabilitative sporting events coming up this Spring and Summer that are designed for disabled veterans. The first is the National Golden Age Games, which will be held in Biloxi, MS May 7-11, 2017. These games are for veterans age 55+ and offer sporting events for senior veterans with many levels of ability. Registration is open from February 1 through March 1. For more information, please visit https://www.va.gov/opa/speceven/gag/. The Valor Games consist of a wide range of events for all disabled veterans and service members. They are conducted regionally. Valor Games Southeast will be held in North Carolina from May 22-25, 2017. For information about the games and registration, please visit http://www.bridge2sports.org/valor-games-southeast/. The Valor Games Far West will be held at Coast Guard Island in Alameda, CA from June 2-5, 2017. Registration opens March 1. For more information, visit http://valorgamesfarwest.com/valor-games-far-west-athlete-info/. The National Veterans Wheelchair Games will be held this year in Cincinnati, OH from July 17-22. Registration is online and is open now. For more information, please visit http://wheelchairgames.org. The VA’s Summer Sports Clinic offers sports and recreational events to recently injured veterans, with its primary purpose to help veterans recovering from injuries. The various sporting and recreational events supplement daily rehabilitation activities to aid in the recovery process. This year’s Summer Sports Clinic will be held in San Diego, CA from September 17-22. Applications are due on or before March 1. For more information, please visit https://www.va.gov/opa/speceven/ssc/. Christopher.p.wright3.civ@mail.mil. For general information about the Invictus Games, please visit http://www.invictusgames2017.com/2017-games/faqs/.